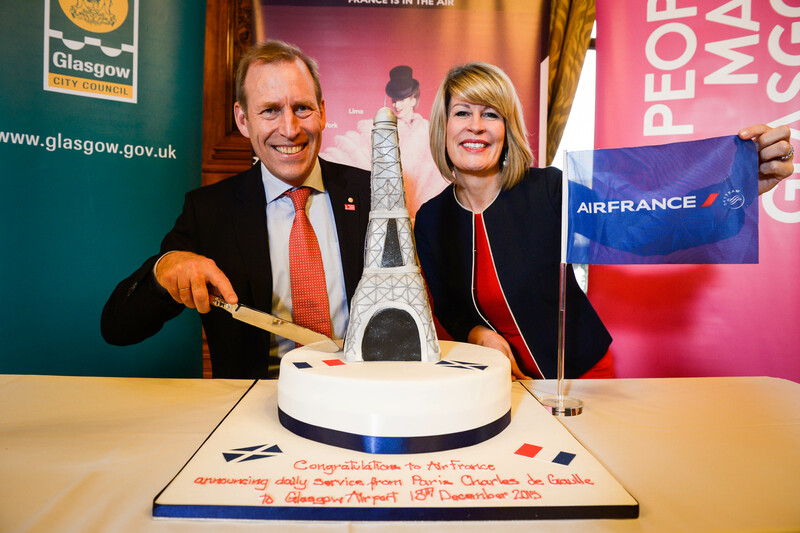 Air France is set to expand its short-haul network with daily flights to (and from) Glasgow, marking the airline’s 3rd Scottish destination and 9th UK destination. The route will form part of the airline’s new summer schedule for 2016. Commencing on the 27th of March 2016, the daily flight will connect Glasgow to Air France’s Charles de Gaulle hub in Paris. The airline will offer a number of connections to its worldwide network of over 130 destinations from Scotland, including Shanghai, Tokyo and New York City. The daily flight will be operated by an Airbus A318, carrying up to 131 passengers. Fares start from £88 return in economy including all taxes. Flights are open for sale from today on the airline’s website www.airfrance.co.uk or Air France Reservations on 0207 660 0337 and via local travel agents. Air France’s decision to introduce services from Glasgow Airport follows a strong business case put forward by the airport and the decision to strengthen its links in the UK market as well as position Air France as a key intercontinental airline for Scotland. The research showed significant support for business and leisure sectors for the commencement of the route as well as a growing demand for connectivity due to Glasgow’s diverse economy across a variety of sectors. The daily flight from Glasgow to Paris offers passengers the choice of Economy or Business class, where in either cabin; they will be able to enjoy complimentary onboard catering and a wide selection of beverages. With the addition of the Air France Glasgow to Paris-Charles de Gaulle route, the Air France KLM Group is strengthening its overall presence in Scotland and will offer more than 150 weekly flights. In total the Group will offer 7 routes from 4 Scottish airports (Glasgow, Edinburgh, Aberdeen and Inverness) to Paris or Amsterdam, where passengers will be able to connect to the extensive Air France KLM worldwide network. Mike Cantlay, Chairman of VisitScotland, said: “This is fantastic news for Glasgow and further strengthens the reputation of Scotland as an attractive destination for major airline investment, which is crucial to growing the visitor economy. France is one of our biggest European markets with French visitors attracted to Scotland’s romance and culture which sees them return year-round to explore our cities and landscape. http://www.relyongroup.co.uk – Relyon Hire and Transport has been storing cars for over 25 years in a private, secure compound with CCTV, security patrols and dogs. Our business is derived mainly from holiday-makers travelling through Dover Docks and, more recently, Eurotunnel parking (subject to an additional charge) – our site here is only minutes away from the docks and approximately 20 minutes from Eurotunnel.